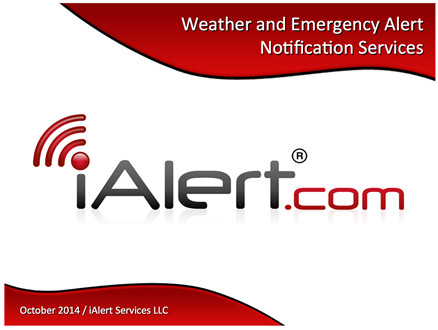 iAlert Services LLC is a credentialed professional software development company specializing in critical communications. This entry was posted in iAlert Functionality and tagged alert notification, emergency alert notification services, iAlert, iAlert Services, Service guide, severe weather alerts, severe weather alerts by email, severe weather alerts by text, weather. Bookmark the permalink.